Where to buy what for who in the East Bay. At Halmoni, you can find the perfect gifts for friends with vintage taste. New boutiques are constantly sprouting up in the East Bay, and each is curated with a specific taste. Here's a guide to some of our favorite little, local shops — some new and some not so new — and who you should shop for at them. Resurrect is a wellspring of statement pieces and spunky accessories. It's the place to go for that gift that stands out for being playfully idiosyncratic. Designer and seamstress Kate Morrow opened the boutique in 2012 as a platform for emerging artists and designers to sell their wares. There, she offers handmade goods from more than fifty local and regional artists alongside vintage apparel. Take, for example, the Nocturnal Drifter V-neck tee, which features an owl with its wings outstretched printed on soft cotton ($38) or the Kitty Garden Party leggings, which cover the wearer's legs in exactly what it sounds like — imagery of kittens having a party in a garden. Resurrect also offers an array of bags, notebooks, and jewelry with imaginative designs that you'd be hard-pressed to find elsewhere. Dandelion Post is where to go to find gifts for your refined-yet-casual, fashion-forward friend or family member. The items don't come cheap, but they're well made — and look it. Offerings range from sophisticated dresses to comfy sweaters. The Burnout Butternut Dress by Pepa Loves, for example, is a delicate burnt yellow cocktail dress with a gathered waist and dainty, short sleeves patterned with Victorian burnout lace designs. It's exquisitely tailored for a contemporary fit but with a tinge of vintage appeal ($100). Basics like the B&W Striped Boatneck tee by RP Miller are the safest buy for a holiday gift because no one can find fault in a soft, tasteful item they'll wear again and again — especially with understated ribbing for an extra pleasing texture ($38). Dandelion also excels in the bag department, with a collection of totes and clutches that work perfectly for a trip to New York City — or an everyday outing in Oakland. The Truman Shaving Kit ($20) from Welcome Stranger. Although Dandelion Post only sells women's clothes, its male counterpart can be found in Welcome Stranger. The men's street wear shop that's popular in San Francisco recently opened a second location in Berkeley's Elmwood district. Its tightly curated threads can get pricey, but every piece is made to last and look good until the end. The WS X EF 100 percent wool baseball caps with adjustable embossed leather bands are a simple yet reliably stylish new staple you can offer your giftee ($48). Carhartt sweaters, perfectly fitted chinos, and Eastland lace up boots are a few other items you can find there. The shop also offers smaller giftables like the old-school Truman Shaving Kit ($20) and designer Opinel pocket knives ($19). Halmoni is the place to find gifts for vintage fiends. The ever-evolving collection of goods encapsulates everything in someone's closet — shoes, accessories, apparel, jewelry, and sunglasses. Find dresses in cheeky, bold prints and long-sleeved shirts with eccentric buttons. Or check out a pair of earrings that are both unique and perfectly suited for the person you have in mind. If you're not the most fashionably confident person, Halmoni owner and buyer Natasha Harden is the most helpful stylist you'll find at a local vintage boutique. And if the person you're buying for isn't fashionably confident either — at the risk of offending them — you could even opt to buy them a Halmoni Closet Remix in which Harden does a two-hour closet consultation that includes putting together new outfits from what's already in there and recommending staple items that should be added ($99). 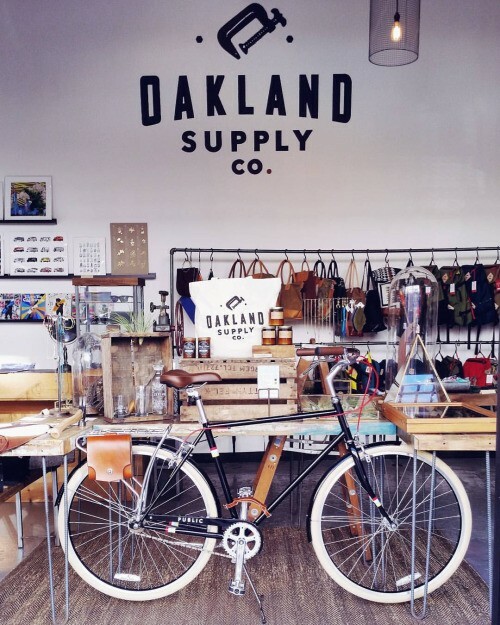 Oakland Supply Co. is the best place to shop for urban adventurers. The refined-yet-outdoorsy look is a very real trend, and some people — potentially including people for whom you want to buy gifts — are making it work for them in a big way. Luckily, Oakland Supply Co. is here to provide both you and them with all the perfect accessories for that urban adventurer lifestyle. At this welcoming boutique in the Jack London district, you can find an impressive selection of stylish bike bags, expandable plaid flasks, super cool sunglasses, a Make Your Own Bitters kit, and even a sleek hatchet with a perfectly fitted leather case. No matter what gender you're shopping for, you'll likely find something trendy, well-made, and suited for them here. Viscera is the place to go to buy gifts for your futuristic friends. All of the clothing sold there is monochromatic and most of it comes in grey, white, or black. With an A-line hem here and a deliberately placed zipper there, each item seems subtly ahead of its time. But what most sets the boutique apart is its line of 3D-printed jewelry, including rings, bracelets, and pendants — all designed in-house. 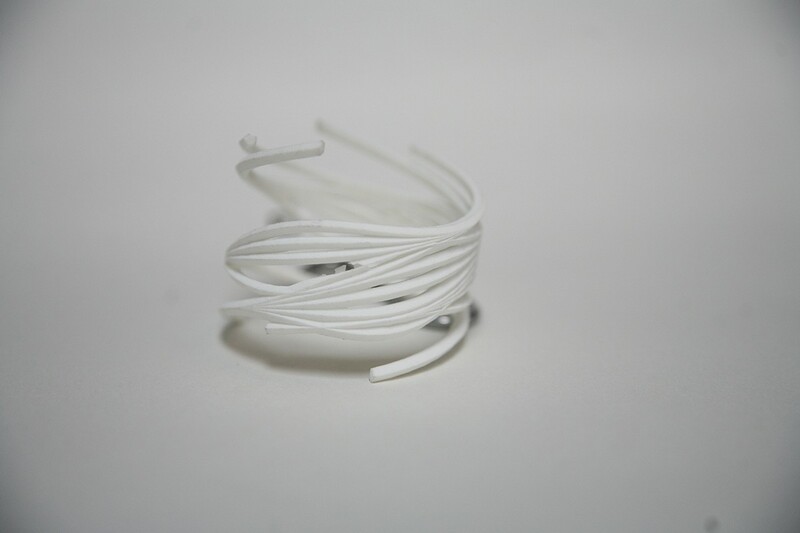 The Aconeus Bracelet wraps around the wrist like a graceful bunch of twisted wires embracing one's arm. Like the rest of the line, the bracelet comes in flexible plastic, steel, bronze, or raw silver and is remarkably affordable for locally made jewelry. In any of the given materials, the bracelet costs $45. If you're looking for something especially personal, Viscera also offers customized rings, bracelets, pendants, earrings, broaches, and hair pieces. Just give their designers a $25 deposit and description of the item you have in mind, and they'll send you a design in a week, with the finished product following not long after that. The Aconeus Bracelet is part of Viscera's futuristic jewelry line. Umami Mart is the go-to place to buy gifts for people who like bartending, appreciate Japanese-made goods, or nerd out about design. Any intersection of those interests is an extra-sure win. The shop on the outskirts of Old Oakland offers a finely curated selection of Japanese bar and cooking ware, plus America's largest selection of imported Japanese beers, and a well-tuned sake selection. And one of the most admirable aspects of the store is its exquisitely designed interior, done by the Danish design and ceramics makers Studio Arhoj. For the holidays (until Dec. 24), Umami will be hosting Arhoj's first ever American pop-up, featuring its adorably designed ceramic tableware. Imagine dip-dyed mugs with tiny eyes peering back at you. The line is cute, tasteful, and super rare anywhere outside of Copenhagen.